It slipped out of a Mississippi of hot biscuits, genteel table manners and working-class sense, suddenly overturned by a grave sinning and suicide. Carried on an evening breeze of strings and a supple, foreboding voice like sensually charged breath, “Ode to Bilie Joe”—Bobbie Gentry’s 1967 debut as a singer-songwriter and a Number One single for three weeks in the late Summer of Love—was the most psychedelic record of that year not from San Francisco or London, as if Bob Dylan, Neil Young and Brian Wilson had conspired to make a country-rock Pet Sounds. Except Gentry, just 23 when she wrote the song, got there first, in miniature. Gentry’s hit was a revolutionary act, a quietly thorough feminism in vision, deed and success amid the strict, paternal order of the country-music industry. And it was her license to thrill again. 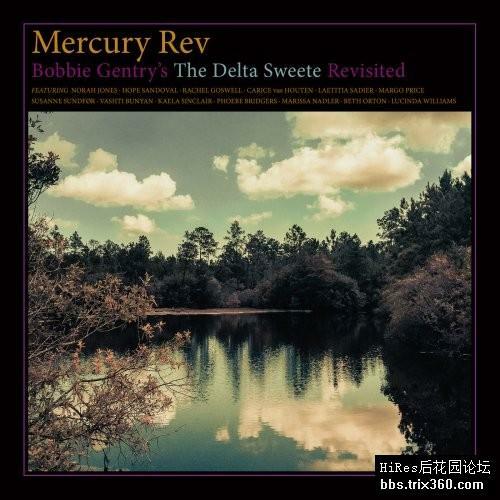 In October, 1967, while “Billie Joe” was still in the Top Five, Gentry began recording The Delta Sweete, a connected set of a dozen songs that extended the narrative dynamics of that single with personal reflection and set her folk-siren charisma in a richer frame of dream-state orchestration, swamp-rock guitars and big-city-R&B horns. In her eight original songs for the album, Gentry drew from her childhood and church life on her grandparents’ farm in Chickasaw County, Mississippi: the girl-ish craving for a beautiful dress in “Reunion”; the rise-and-shine of “Mornin’ Glory”; the stern Sunday lessons in “Sermon,” based on a traditional hymn also known as “Run On.” The covers were boldly chosen: Mose Allison’s chain-gang blues “Parchman Farm”; “Tobacco Road”’s litany of trial; the Cajun pride in Doug Kershaw’s “Louisiana Man”. Gentry also turned them to new purpose and even gender. “Gonna get myself a man, one gonna treat me right,” she sang in Jimmy Reed’s “Big Boss Man” with heated assurance. But The Delta Sweete—released in March, 1968, only three months after Dylan’s John Wesley Harding and right as the Byrds came to Nashville to cut Sweetheart of the Rodeo—was too soon in its precedence. Gentry’s LP, the first country-rock opera, was ignored on arrival, not even cracking Billboard’s Top 100. It was as if Billie Joe had risen out of the Tallahatchie River and thrown that record off the bridge instead. This Delta Sweete is her long-delayed justice—Mercury Rev's committed and an affectionate resurrection of an album that anticipated by three decades their own pivotal expedition through transcendental America, 1998's Deserter's Songs. From their recording lair in New York's Catskill Mountains, the founding core of Jonathan Donahue and Grasshopper with Jesse Chandler (previously in the Texas group Midlake) honor Gentry's foresight and creative triumph with spacious invention and hallucinatory air. And they are not alone. Gentry's stories and original resolve are brought to new vocal life and empowerment by a vocal cast of women from across modern rock and its alternative paths: among them, Mazzy Star's Hope Sandoval; Laetitia Sadier, formerly of Stereolab; Marissa Nadler; Margo Price, the fiery new country star with a punk-rock heart; and Norway's Susanne Sundfør, who cuts through "Tobacco Road" with arctic-Nico poise. Phoebe Bridgers, whose first record was a softly stunning 2015 single for Ryan Adams' PAX AM label, hovers through the acid- western suspense of Gentry's "Jessye' Lisabeth" with floating calm, like a comforting angel. Gentry is still very present in the changes. Her seesaw of pride and hurt in the melancholy blur of “Penduli Pendulum” (“When goodbye serves as/My one amusement”) is even more explicit with the seasoned intimacy of Vashti Bunyan—a once-elusive voice from Britain’s psychedelic-folk boom—set against the younger, brighter arc of Kaela Sinclair, now in the electronic project M83. And in “Courtyard,” a despairing finale of strings and guitar arpeggios on Gentry’s LP, Mercury Rev build a striking Delta Krautrock in which the English singer Beth Orton wanders, like Gentry, through a ruin of profound loss and treasured memory. “Ode to Billie Joe” was not on the ‘68 Delta Sweete. But Mercury Rev go back to that dinner table with Lucinda Williams of Lake Charles, Louisiana, and it is an inspired bond, calling up the ghosts and questions of a South still very much with us. Indeed, Gentry—who retired from recording and performing in the Seventies—reportedly lives only a couple hours’ drive from the bridge that made her famous, while the spirits she set loose in The Delta Sweete are as restless and compelling as they were 50 years ago. This album is a loving tribute to that achievement, one of the greatest albums you have never heard. It is also a dozen new ways to walk that land.